Congratulations to all our Kohl Fellowship Award Recipients and Finalists! Mrs. Hannah and Ms. Kolarik (MS/HS Principal) --recognized at the 2018 Herb Kohl Award Ceremony. 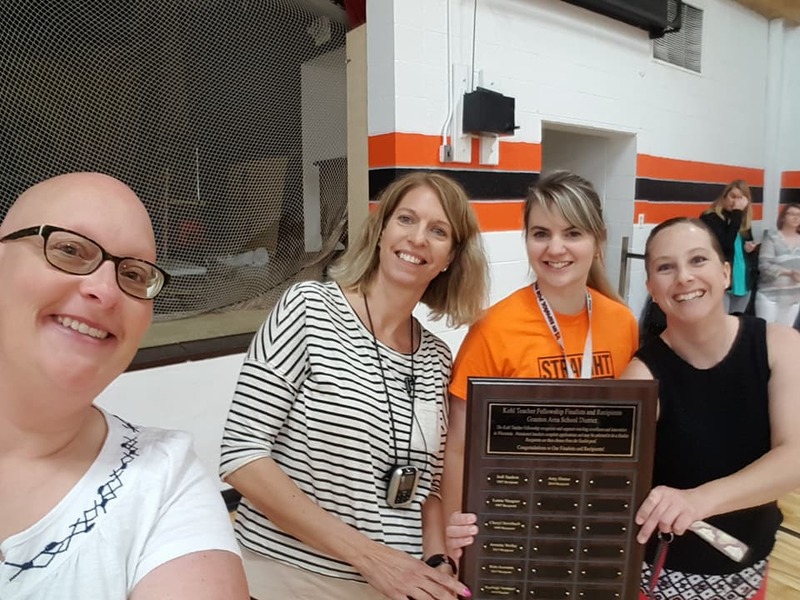 Ms. Woller, Ms. Vantassel, Mrs. Aumann, Mrs. Hanna--recognized at school-wide event. Governor Walker Invests in Granton Area School District for Fab Lab Equipment. The Wisconsin Department of Public Instruction has recognized the Granton elementary school once again for having above-average student achievement in reading and mathematics when compared to schools from similarly sized districts and poverty levels. This award recognizes the success of the Granton elementary teachers in educating students from low-income families. We’d also like to acknowledge the effort put in by each parent and student which allowed us to exceed expectations. This is the 7th time that Granton has received the recognition. Jodi Maquire accepted our 2017-18 School Of Recognition award at the capital.